When did you first realize that something was not right, and that you were a depressed soul? My biggest clue was wanting to kill myself. I was fifty. Only then did I grasp I’d been struggling for decades with unacknowledged depression. How do you exactly help people with your coaching practice? 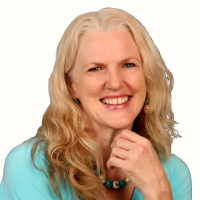 I love helping people gain insights and find healing on their self-development journey. I’m currently working on a system that allows clients to break free of toxic self-talk’s vicious cycles. Was poetry the way that you poured your heart out with all the despair and anguish and emptiness? Definitely. While searching for a new way to resolve a disagreement with my husband, a poem formed in my mind. From that moment, poetry flowed whenever I felt elated or anguished. Now, I don’t need to experience emotional overwhelm before I write my poetry. How exactly did you overcome your state? Was it writing that ultimately helped you? How bad had it become? Writing serves as a catharsis. I increase my self-awareness by constructively recognizing, expressing, and exploring my feelings and thoughts. I experience immense joy through regular mental and physical practices. I share all the steps I took in From the Shadows, so others can follow my path and find healing, too. How long do you plan to stick to writing? If you had to choose any other career, what would you pick and why? I enjoy sharing my insights. My books, speaking, coaching, and consulting all work in harmony. Writing is a lifetime passion now. What made you share your story through, "From the Shadows"? The last thing I thought I’d share publicly was my journey into and out of despair. However, as I began to pen a fictional story, I felt inspired to instead document my no-holds-barred account as encouragement for others. Any insights into your next creation? What kind of work do you plan on doing? Currently, I’m working on two books for release within the year. The first is Escaping the Shadows, a poetry collection. The second is Beyond the Shadows: The Light Within. It dives into how I healed my motherhood guilt, the primary factor in my depression. 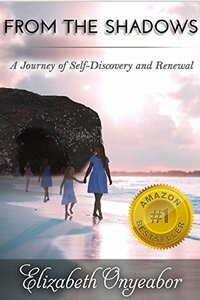 I also share the ways I found freedom through forgiveness to reclaim innocence lost and cement self-love. In your blog, 'Coming Full Circle,' you've described the place that you worked at some fifteen years ago. Enlighten us about your career transition. When I moved from the USA to Nigeria eight years ago, circumstances pushed me into reluctant entrepreneurship. Despite my success in consulting, I clung to the notion I still needed a corporate job. Eventually, I realized what fulfilled me most about my human resources career involved guiding others’ growth. I can offer more impact by leading my own organization. Who was the first reader that reached out to you? What did they say and how did you respond? A former colleague voiced surprise I would print such a personal story. However, she appreciated my book because she also struggled with depression. I’m always glad when readers tell me how my stories have helped them. Did the incident described in "Stop the Rain" truly happen? Does your neighbor still annoy you and create problems? Yes. The blog describes an actual incident with a former neighbor. Now, I contend with a noisy church in my neighborhood. Do you write whenever you want, or is it only when high on emotions? I set aside time to write most days. I don’t need to be high on emotion, because I write whatever comes to me while I tap into inspiration. I often write for a brief period before I switch to editing or other related activities. Did you always want to be a writer? Do you plan on exploring other genres? I had no conscious desire to write until five years ago when I began writing poetry. As I wrote From the Shadows, I realized why I repressed my writing passion. Now, I embrace my authorship. Although I may also publish some fiction, I expect to continue my focus on non-fiction and poetry. Is there any purpose or vision that you want to convey through your book? I want people struggling with depression to know there’s hope. I believe my insights will encourage their healing and self-love. My message to them is: if you’re depressed, you’re not alone, and you can obtain lasting happiness. For those who don’t struggle with depression, I hope my story furthers their understanding and compassion. We need to shatter the stigma around depression. Tell us a bit about your inner circle, and their role in your recovery. After I divulged my inner turmoil, my family and close friends listened to and encouraged me. They expressed their love and how much they would suffer if I killed myself. Many, many discussions with them played a part in healing my shame and guilt to feel worthy of their love. 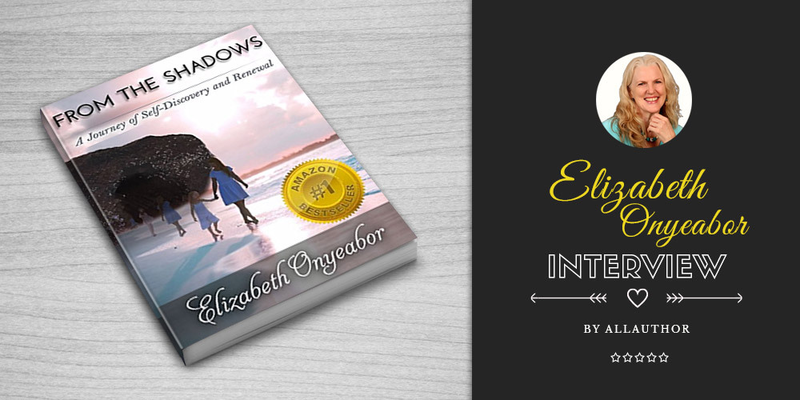 Elizabeth Onyeabor loves helping people gain insights and find healing on their self-development journey. She is currently working on a system that allows clients to break free of toxic self-talk’s vicious cycles. She increases her self-awareness by constructively recognizing, expressing, and exploring her feelings and thoughts. Writing is a lifetime passion for her now. Currently, she is working on two books for release within the year. The first is Escaping the Shadows, a poetry collection. The second is Beyond the Shadows: The Light Within. She believes her insights will encourage people's healing and self-love.